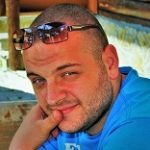 "I have dealt with many insurance companies over the years and STI's friendliness and courtesy set them apart from many of the other companies." As a business owner, it’s important that your workplace is safe. Unfortunately, accidents can and do happen in even the safest workplaces, potentially resulting in injuries and time away from the workplace for your staff. California Workers Compensation or workman’s compensation insurance provides coverage for you as a business owner to make sure your staff are covered in the event of a workplace accident or injury, as well as for the long-term effects of the accident. Below, we’ve explained it in more detail, ranging from the main benefits to the situations in which your staff might need to make a claim. Workers’ compensation is a form of financial benefits for employees injured while in the workplace. Designed to account for the cost of medical treatment and loss of income while an individual is unable to work, the insurance is one of several protections provided for employees in the United States. Workers’ compensation laws also cover situations in which employees act in the “course and scope” of their employment with your business. For example, an employee injured in an auto accident while traveling to meet with a customer of your business may be able to file a claim. As with most compensation schemes, the exact circumstances of an incident can have major effects on the results of a workers’ compensation claim, affecting everything from the claim’s validity to the total amount paid out in compensation. Commonly known as “workers’ comp,” workers’ compensation laws vary between states. The laws and regulations of the program are determined by state courts, with different requirements and specifications in every state. Because it can differ between states, it’s important to understand how the laws work in your state when purchasing insurance. Different states can all have different amounts and types of benefits, impairments for which a compensation claim is valid and claim/dispute handling processes. California businesses are required by law to have workman’s comp insurance. It is sold separately from commercial insurance, making it an additional policy your business needs in order to operate legally. In California, the Division of Workers’ Compensation (DWC) oversees the implementation of workers comp in the state and provide governance and assistance in resolving disputes. 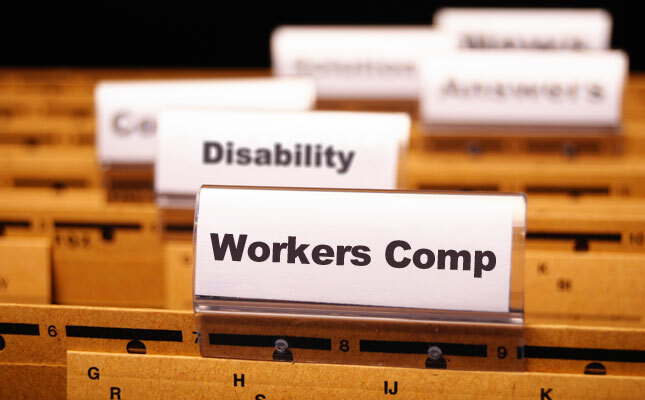 When an employee is injured and unable to work, they can often receive income replacement as part of their workers’ comp claim. Income replacement is a form of compensation that makes up for any lost income caused by an injury. For example, an employee with a significant bodily injury may no longer be able to work, preventing them from being able to fulfill their regular duties as an employee. This employee can potentially receive financial compensation to prevent them from having to change their living arrangements due to a drop in income. Because laws differ between states, there’s no specific amount of time for which income replacement compensation is paid. In most states, income replacement is paid for the duration of an injury in the event a worker is temporarily injured (such as a broken bone or other temporary disability). In some states, long term benefits are paid if an employee is permanently disabled due to a workplace injury. How Does It Affect You as a Business Owner? As a business owner, it’s important that you’re covered. Without a workers’ comp insurance policy, a claim could have major financial consequences for your business. Because workman’s compensation laws vary from state to state, it’s important to be aware of the laws in your state for workers’ comp insurance. In many states, businesses with more than a few employees are required, by law, to purchase workerman’s comp insurance. Known as mandatory coverage laws, laws of this type exist for the protection of both employees and small businesses. If your business is a partnership or sole proprietorship, you might be exempted. Our experienced team can provide more information about whether or not you need insurance by law — for more information, contact us now. Regardless of the type of business you operate, it’s important that you’re aware of the cost of operating without workman’s comp insurance. Often, a single claim due to an injury can be enough to bankrupt an otherwise successful small business. If your business is required by law to carry workmen’s comp insurance, you could also face fines for non-compliance. In addition to this, as your workforce grows, the risk of a worker being injured in a workplace accident can also grow. While workers’ comp insurance may not be your top priority during the early stages of your business, it becomes increasingly important as your business grows. Not sure if you need to be covered or not? Our experienced team can tell you more about the legal side of workman’s comp for your business. For more information, contact us now. Workers’ comp insurance is almost always sold as an independent policy. This means that you’ll usually need to purchase a separate workman’s comp policy even if you have a business owner’s policy (BOP). Like all insurance policies, its premiums can vary. Most premiums are calculated by looking at an employer’s industry. Industries are categorized by classification code, with the riskiest industries typically attracting the highest premiums. This means that if you operate in a high-risk, dangerous industry such as logging or fishing, you will likely pay a significantly higher amount (on a per-staff member basis) than a lower-risk business. Just like other forms of insurance, it is made up of several costs. As well as your insurance premium, you’ll also need to make payments for deductibles, as well as the handling fees for specific insurance claims. As with other insurance policies, your claim history can also affect your insurance costs. If your business rarely makes claims, or has only made claims with a relatively low dollar value, your premium may be adjusted downwards based on your claim history. This can also negatively affect your workers compensation insurance. If your business has an extensive history of claims with a high dollar value, it could result in an upwards adjustment to your premiums. As part of your insurance policy, you have several responsibilities as a business owner. First, you’ll need to keep complete records of any and all accidents and injuries that take place in your workplace. Second, you’ll need to report these accidents as they happen to your state’s WCB, or workers’ compensation board. Over the long term, the insurance can produce significant savings for your business, all while making sure that your employees are financially protected in the event of a workplace accident and/or injury. Are you interested in learning how much workers’ comp insurance will cost for your business? Contact us now to request a free quote and additional information about our policy options. Workmen compensation insurance covers the compensation paid out to employees in the wake of a workplace accident. For example, your insurance policy may cover the cost of medical care for an employee injured in the workplace or while carrying out their work for your business. The policy may also cover a period of lost income compensation for the employee while they are unable to work. Workman’s comp insurance does not cover accidents and injuries that occur outside the scope of an individual’s employment. This means that if one of your staff members is injured in their spare time while playing sports or traveling, they won’t be covered by your policy. Most workmans comp insurance policies also cover the rehabilitation costs incurred in the wake of an accident or injury, making it easier for employees to return to your business after they’ve recovered. In the event that an employee dies as a result of a workplace accident, your business may also be required to pay death benefits under the law. Workman’s comp insurance can provide coverage for death benefits, reducing the total financial risks to your business. Put simply, yes. If you employ people, it’s important to make sure they’re covered and protected against the costs and lost income caused by injuries through a thorough insurance policy. Depending on the size of your business, you may be legally required to purchase an insurance policy to cover potential workman’s compensation costs. Even if your business isn’t required by law to have workman’s comp insurance, it’s still a smart idea to make sure your employees are protected. After all, without insurance, even a single claim can have significant financial repercussions for your business. Whether you just have one employee or a team of hundreds, protecting your business from the cost of a workers’ comp claim is essential. Pricing for workman’s comp insurance can vary based on a number of factors, from the size of your business and your total number of employees to your industry, location and more. The amount you pay for workman’s comp insurance can also vary depending on your state. As specialists in all things insurance, we’ve helped thousands of businesses get the best rates for workman’s comp insurance. A local California insurance agency, we provide policies for businesses throughout the state in a diverse range of industries. Our team specializes in providing California workmen’s comp insurance information to businesses of all sizes, from “Mom-and-Pop” businesses to startups, established companies and more. We can help you learn more about your insurance options and the policies available to you. Would you like to learn more? For more information about cheap workers’ comp insurance, as well as information on our policy options, contact us now.